We take your safety seriously, and that’s a promise. Your safety is so important to us. We’re one of the safest transit systems in the world. We continually work with all our communities, local law enforcement offices, and emergency response services to ensure we have the highest safety practices and standards. 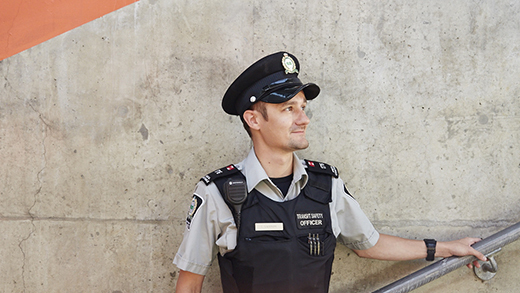 Our Transit Safety Officers provide friendly customer service and assistance, fare inspection as well as support for local police, fire department and ambulance. Most importantly, TSO’s help to make your trip safer. Justin & Hilary take you through the dangers posed by backpacks in congested areas like trains and stations. Watch the video to get some great tips on navigating through the crowds in a safe way. Subscribe to our channel for all our latest videos here. We’re always here to help you any way we can. Press the yellow emergency strip or call 911 for life threatening emergencies and crimes in progress. 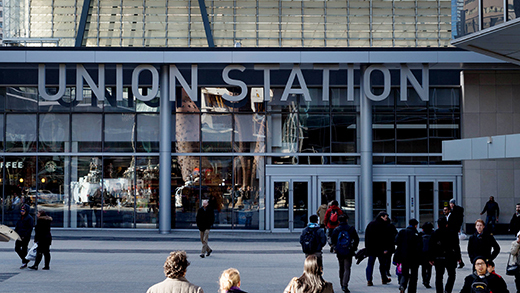 Union Station is the nation’s busiest transportation hub. It is the destination and departure point for over 90% of GO commuters. With so many riders taking GO Trains to and from Union Station each year, we’re taking steps to keep all our passengers safe on Union Station platforms. Learn more by following this link here. 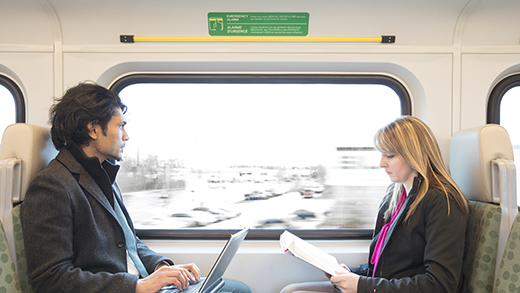 Learn more about our safety tips, to ensure your commute is a safe one. The safety of your car and property is important to us. In the unfortunate event your vehicle has been damaged or stolen in one of our parking lots, here’s what you do. Sorry, you missed your stop, but that isn’t an emergency. Like the signs says, the yellow emergency strip is for EMERGENCIES ONLY. Emergencies include a passenger in distress or needing medical attention, vandalism, disputes, reporting a suspicious package, or when the police and/or Transit Safety intervention is required. These are all considered acceptable instances to use the yellow emergency strip.